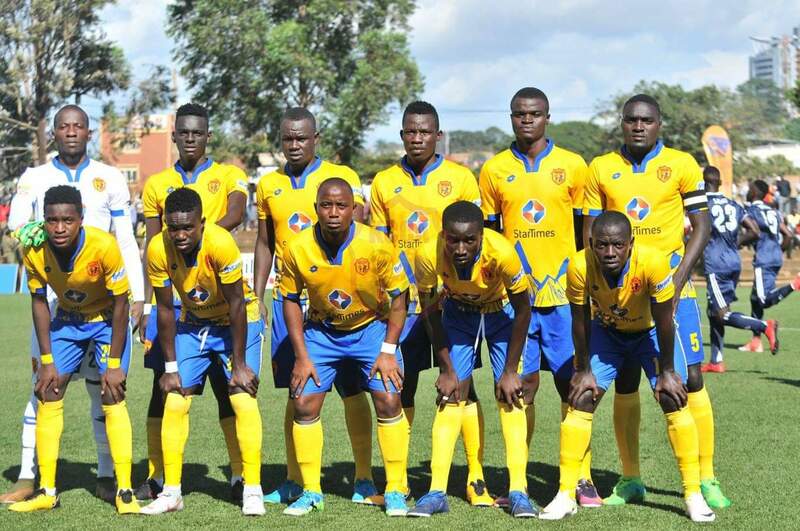 KCCA FC tightened their grip onto top spot in the StarTimes Uganda Premier League with a 1-0 win over URA FC on Tuesday evening. The Kasasiros who had put 6 past Police Fc in thier last League game, struggled to find the back of the net and had to wait until the 56th minute to break the deadlock through Captain Timothy Awanyi. For URA who came into the game still unbeaten since the start of the current campaign, they had Siraje Ssentamu booked in the 93rd minute, following KCCA’s Patrick Kaddu in the referee’s book. Victory for KCCA takes them onto 36 points from their first 15 games of the season. Mike Mutebi’s side currently sit 7 points ahead of Vipers SC who defeats Onduparaka FC 3-0 on the same day. Vipers have two games in hand on the Kasasiros. For URA, they remain in 6th on the standings with 21 points from 14 games. In the game played at Lugogo, 10 man SC Villa surrendered a 2-0 lead to draw 2-2 with Police FC. Villa who were coming off a disappointing 1-0 loss at home to Bul FC, took the lead through Charles Lwanga on the half hour mark. However, Lwanga would turn from hero to villain a minute later as he was given his marching orders by referee, Shamirah Nabadda. Deapite the one man disadvantage, the Jogoos increased their lead a minute into their second half through talisman Bashir Mutanda who converted from the spot for his 10th goal of the season. As expected, Police piled on the pressure and got their reward on 51 minutes through the in-form Juma Balinya. With 8 minutes to play, Balinya who also struck twice in the Cops’ 6-3 loss to KCCA last Saturday, scored again to ensure both sides walk home with a point each. The point earned sees Police move into 7th on the log with 21 points while Villa are now 12th with 14 points from 15 games.